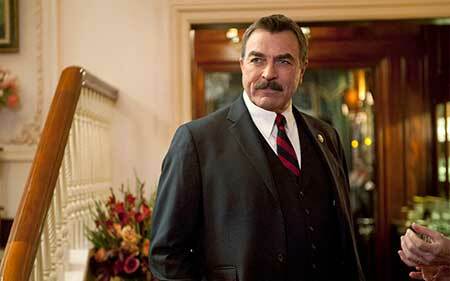 Is Tom Selleck Gay ? One of the most popular actor in the world, Tom Selleck is best known for portraying Thomas Magnum in the 1980s television series Magnum, P.I. He was the most popular choice for fans to play the role of Magnum. Besides this, he has appeared in more than 50 television roles, series and film since Magnum, P.I. 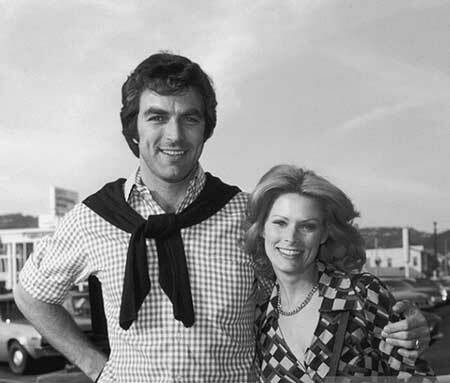 Talking about Tom's personal life, he was married to Jacqueline Ray- a model, form the year 1970 to 1982. After 5 years of their divorce, Tom tied the knot with Jilly Joan Mack, in 1987. Tom Selleck was born on 1945 January 29, in Detroit, Michigan, the U.S as Thomas William Selleck to Martha Selleck and Robert Dean Selleck. He is of English ancestry, including recent immigrant ancestors. Tom and his family moved to Los Angeles, California. He completed his high school graduation in 1962 from Grant High School. Since his childhood, he was quite interested in acting, modeling, and playing basketball. So during his college level, he received a basketball scholarship to the University of Southern California. He is also a member of Sigma Chi- One of the largest and oldest social fraternities in North America and Trojan Knights- an American service and spirit organization. While working as a model, he received small parts in films and television projects like "The Dating Game", "Myra Breckinridge", "Coma", and "The Seven Minutes". Finally, in 1970 he decided to be an actor. Tom appeared in several commercials ads for products like Pepsi- Cola and other. To built his career as an actor, he played some minor roles in "The Movie Murderer", "Owen Marshall: Counselor at Law", "Charlie", and other. Although he appeared in a number of TV series, mini-series and TV movies, he still struggled as a TV actor. Eventually, he got huge attention when he received a role as private investigator Thomas Magnum in the TV series "Magnum, P.I." He played in the series from the year 1980 to 1988. In December 1980, the show became a superior hit and lasted for 8 seasons. The show also earned Selleck an Emmy and a Golden Globe. 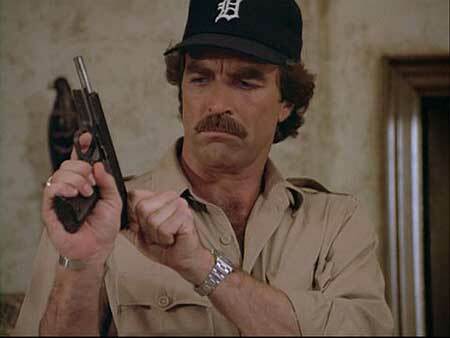 From the show, Tom was famous for his mustache, a Detroit Tigers baseball cap, a Hawaiian-style aloha shirt, and the Colt Model 1911A1 .45 ACP Caliber pistol- his character carried. Though Tom was blocked by CBS from starring in the film "Raiders of the Lost Ark" because of series obligation, he eventually got his own way to the big screen again. In 1987, he played in the comedy film: "Three Men and a Baby" which became the top-grossing film. After that he performed in the 1990 sequel "Three Men and a Little Lady" and other projects like "Quigley Down Under" in 1990, "Mr. Baseball" in 1992, "In and Out" in 1997 and "The Love Letter" in 1999. Moreover, he portrayed the role of Dr. Richard Burke in the television series "Friends" from 1996 to 2000. He also received an Emmy nomination for the role. In 1998, Tom landed the character of Jesse Stone in the series based on Robert B. Parker's novel "Jesse Stone"
In 2007, Tom started acting in the NBC drama Las Vegas. After that, he appeared in the 2010 hit series "Blue Bloods" to date. He again came into the spotlight after appearing in TV series. According to Celebrity Net Worth, Tom's net worth stands at $45 million. The major source of his net worth fortune is from his film career, acting, and directing. His salary is estimated to be $15 thousand per Episode. Tom has been married twice. As mentioned above, previously, he was married to a model- Jacqueline Ray. Unfortunately, they could not carry their relationship until the end and divorced after 11 years of their marriage relationship in 1982. After his divorce, he was romantically linked with Jillie Mack. Late on August 7, 1987, he tied the knot with Jillie. They welcomed their daughter, Hannah Margaret Selleck on December 16, 1988. However, till the date, there are no rumors regarding their divorce or the extra-marital affair. We wish them to stay together until the end of their life. He celebrated his best birthday ever who turned 74 on 29th January 2019. The reason behind their divorce is still a mystery as has kept the reason under the radar and often feel uncomfortable to share about it. They tied the knot in 1987 and till the date, they are going strong. As there us no rumors regarding their divorce or an extra-marital affair. She is now 30 years and is often described as a blue-blooded Hollywood royal. Her parents had decided to shield her from Hollywood that she may enjoy a “normal” life.